Large, open, beautiful views of city/mountains with garden! Our home is an upside down layout to make the best use of our views! The bedrooms are downstairs with double doors with screens out to the Garden. 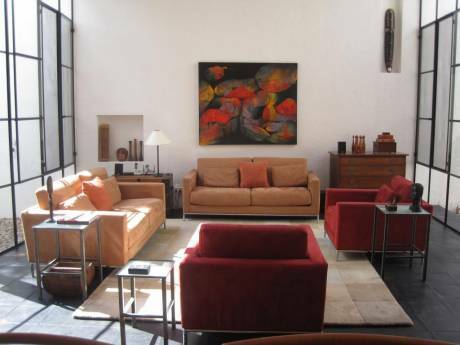 Upstairs the Living/Dining and Kitchen look out to the beautiful views of San Miguel. There is also a terrace with Patio table/umbrella on this terrace. The TV room has a Juliet Balcony overlooking the garden. 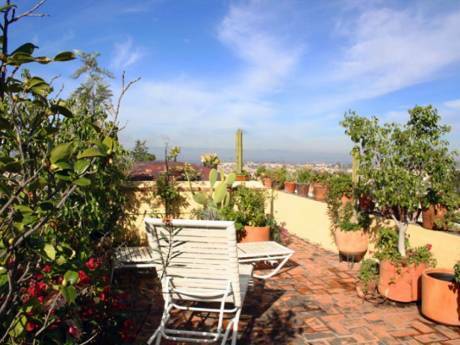 The rooftop terrace offers 180 degree views of San Miguel, equipped with Wicker Furniture and 2 lounge chairs! My husband Howard and I (Elenita) retired to San Miguel de Allende in November of 2007. We are both in our late 50's and moved here from No. California. We love traveling by car around this big, beautiful country and also like to experience life in other countries. We are planning a trip to Portugal/Spain in the late spring of 2011. We have never exchanged homes with anyone but we think its a wonderful idea and would like to see if it fits our needs. The more we know about someone who would like to stay at our house the better we would feel. Our house is located in a small colonia (neighborhood) just behind the Fabrica Aurora Design Studios. We are within walking distance to restaurants, markets, Art Galleries and open hills. 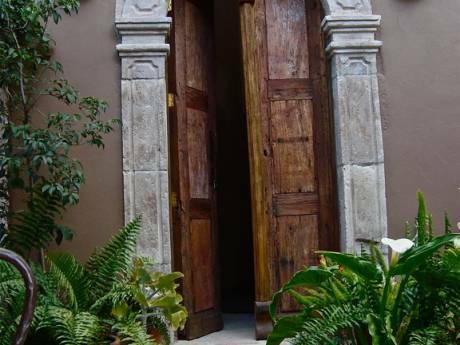 It is a 15 minute walk to the center of town where the Parroquia (Church) and Jardin (town plaza) are located. We are a mixed neighborhood of Mexican families and foreigners living together. We are close to bus lines that can take you to the Hot Springs, Atotonilco (Church with World Heritage Status) and the well known city (for its Talavera) of Dolores Hidalgo.